Last week, even before winter had officially begun, Auckland woke up to its coldest day in 40 years. We know this fact thanks to weather stations like the one in Albert Park in the city centre. 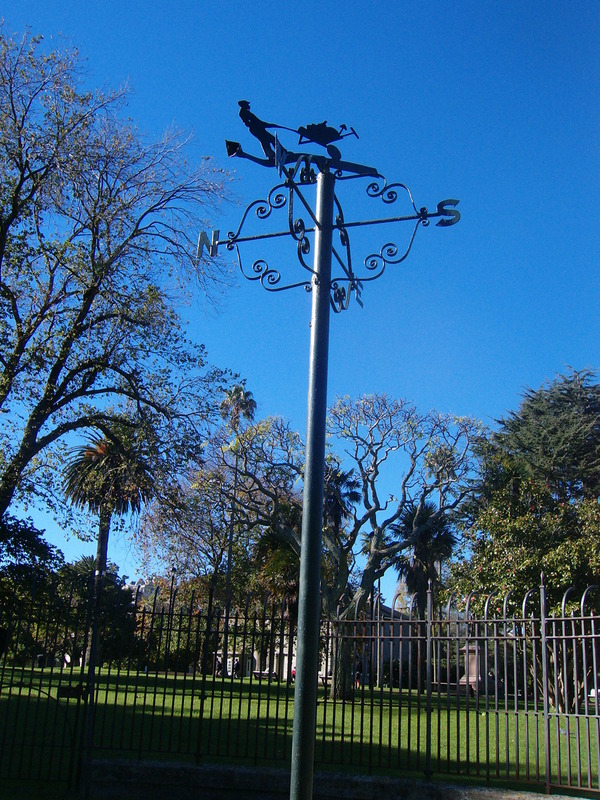 I was in the park on that remarkably cold day, and stopped to admire this gorgeous weather vane. It is the centrepiece of a meteorological station that has stood on the highest point in the park since 1909. 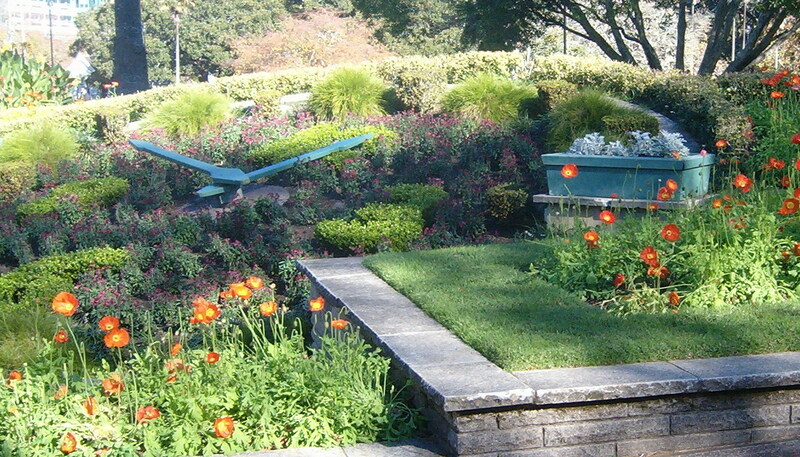 Albert Park was once the site of a fortified Maori Pa and in the 19th century an army barracks. 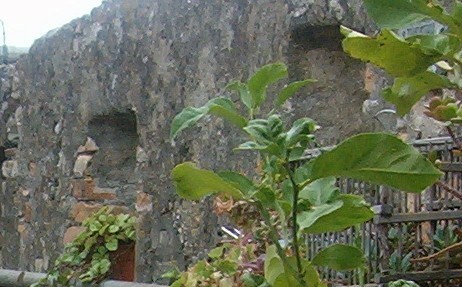 In fact the army began recording the colony’s weather on this same site as early as 1854. 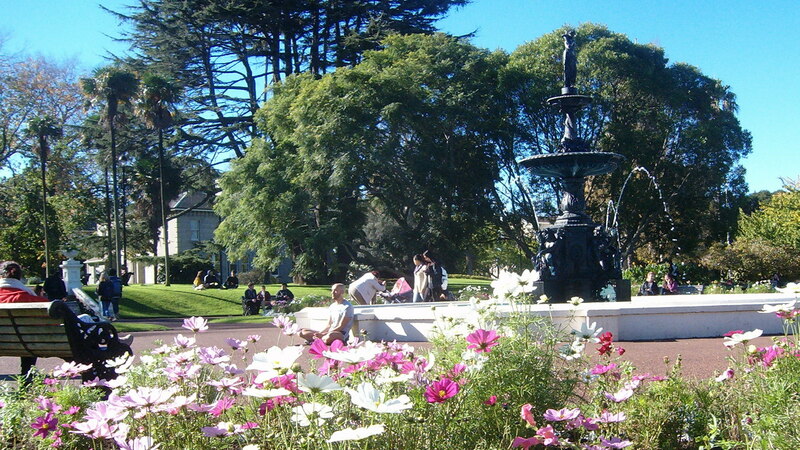 Another feature of Albert Park is the floral clock – dating from 1953: if it looks a little bit sparse it is because it had recently had its annual overhaul and replanting. Albert Park lies between the grounds of Auckland University and the CBD so it hums, especially at lunchtime, with students and office and shop workers alike. In spite of the cold, the fabulous cloudless sky had drawn the crowds to the park – to stroll, read, meditate, meet, and, around the onion-domed band rotunda, to enjoy a pop concert put on by university music students. Nestling under a broad branched tree between the fountain and the band rotunda stands this delicate statue of Love breaking Hate’s sword. 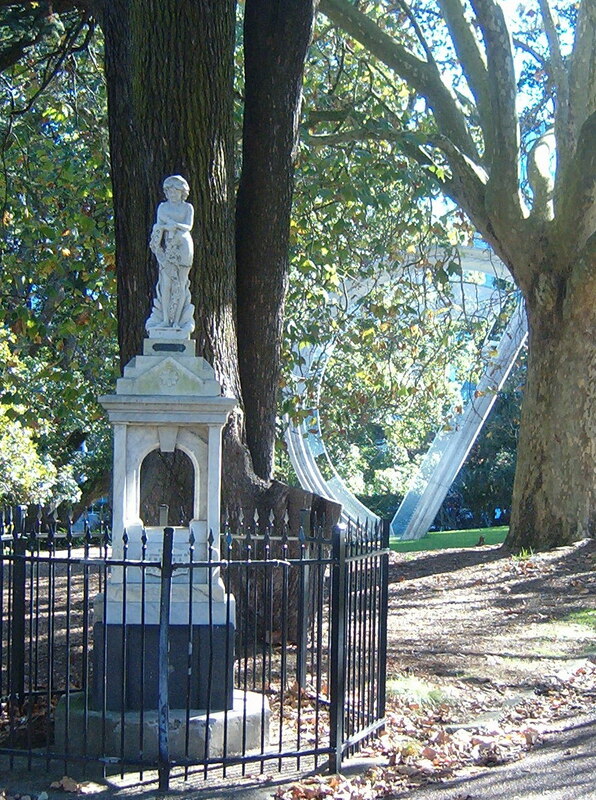 It is dedicated to 19th century Auckland journalist George M Reed and was erected in 1901, a few year after his death. Those haunting, oft-quoted lines by Reed’s fellow journalist George L Banks are engraved on its pedestal. … for the future in the distance and the good that I can do. 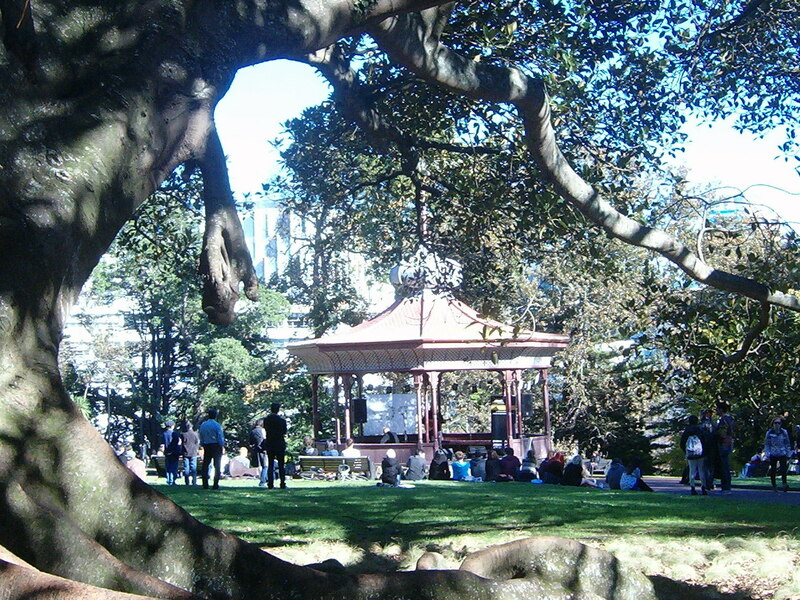 This entry was posted in Auckland, New Zealand and tagged Albert, Auckland, band, floral, Maori, park, university, weather on June 3, 2014 by ventimigliaaltawords.